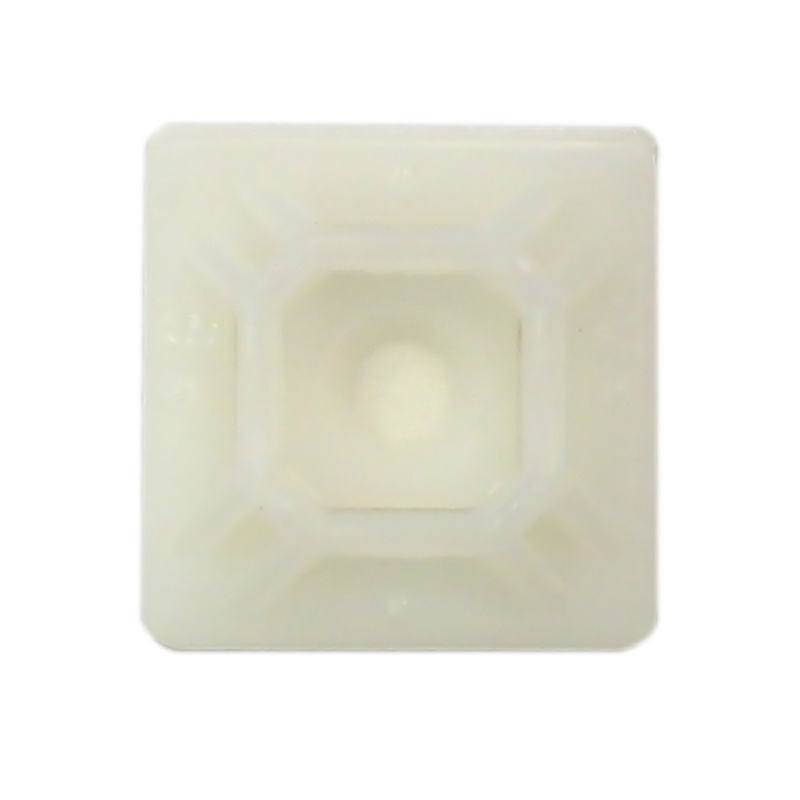 This cable tie adhesive mount is used to direct and fasten cable-tied bundles to flat surfaces. 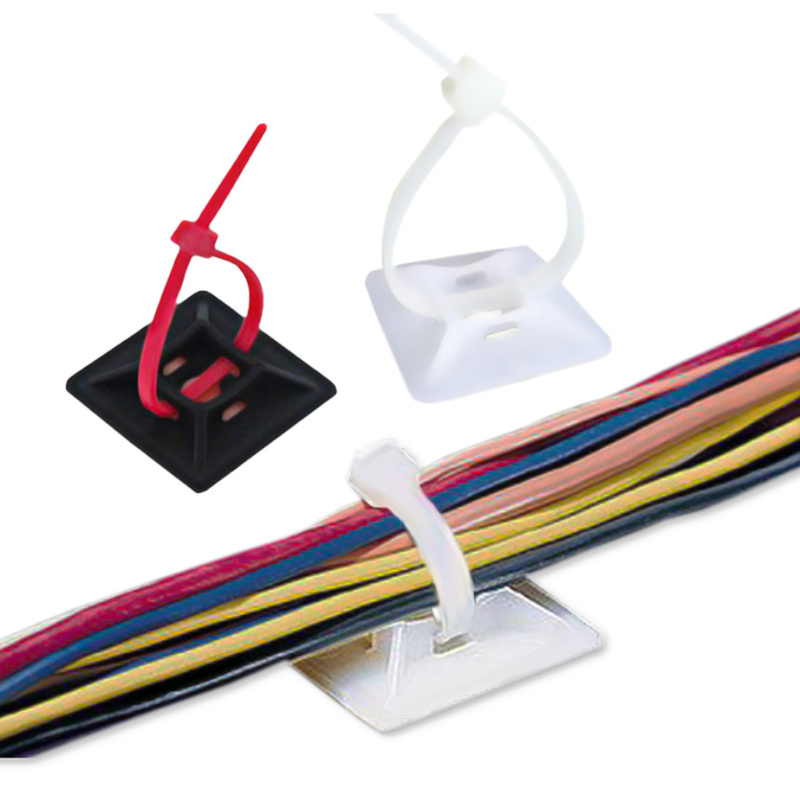 Cable ties can be inserted from a variety of directions, allowing for quick installation. 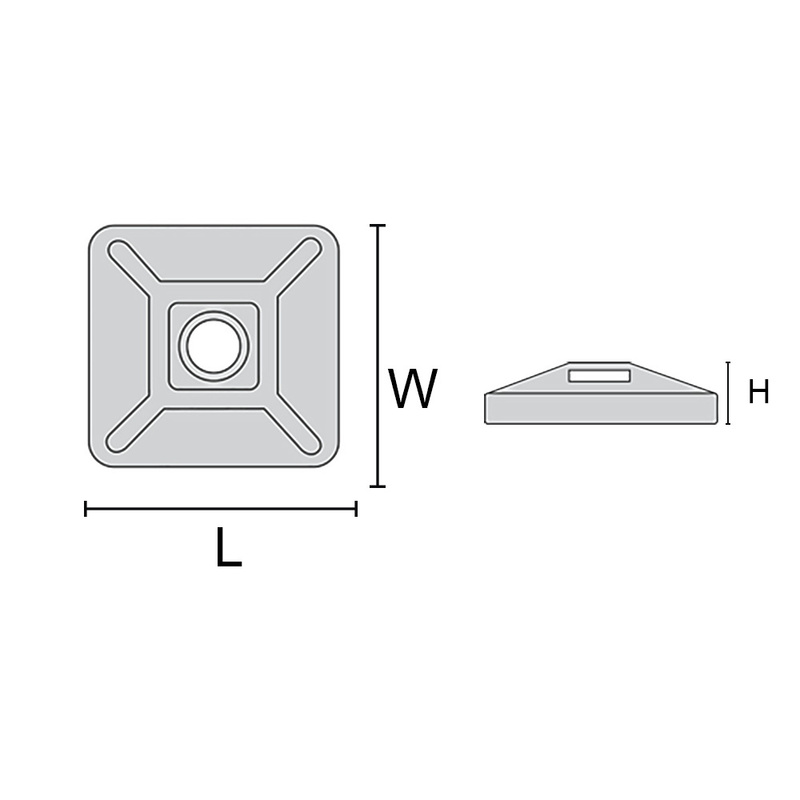 The cradle design at the top of the mount allows for the bundle to fit snug. The mounts peel and stick self adhesive can attach to most flat surfaces.